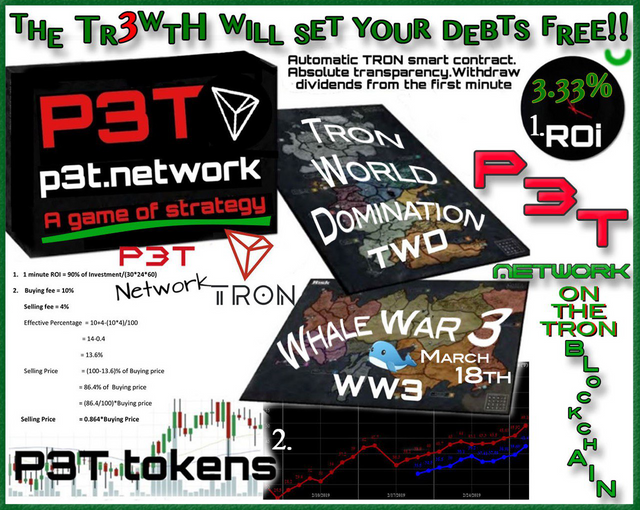 Days Away From Whale Wars 3, The Debate 3.3% or ROI, And Whats Going To Happen to P3T When WW3 Begins? @bretmunsen, thank you for supporting @steemitboard as a witness. Someone gifted me 900 TRX today which I’ll use to start my gaming adventure on Tron DApps.